SCUA recently received two accessions documenting UO track and field history. The items were donated by two alumni, Clayton Steinke and Kenny Moore, who competed during the 1960s under head coach Bill Bowerman. These new materials complement existing administrative and coaching collections, but also contribute to understanding the unique perspective of the student-athlete. 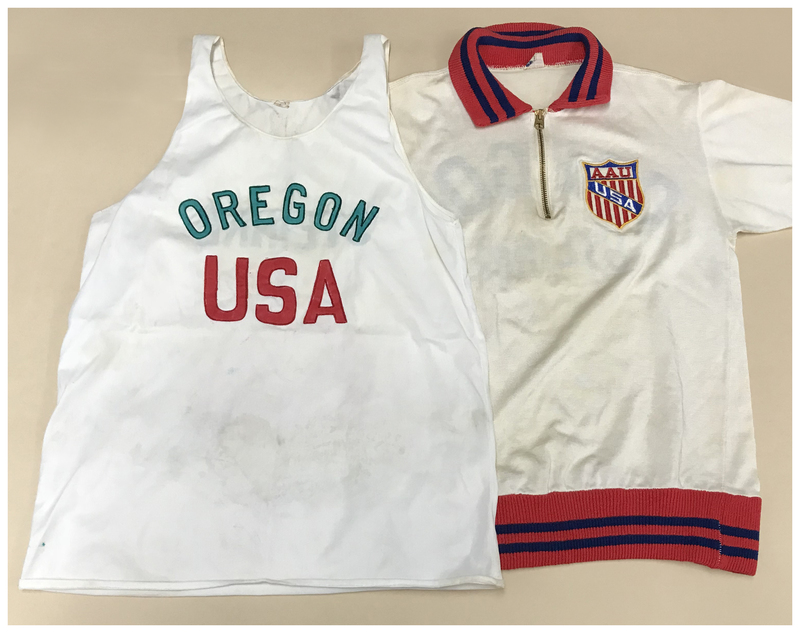 Coincidentally, both accessions include uniforms that provide a visual component of the legacy of UO track and field. In 1962, four members of the UO team broke the world record for the four by one mile relay. Later that year, Steinke served as an alternate runner on the UO team invited to compete in the same relay distance in a meet against the New Zealand national team. As representatives of both the United States of America, and the University of Oregon, Bowerman devised a unique uniform. In order to satisfy the AAU (Amateur Athletic Union), the resulting singlet and shirt include references to the AAU and USA, but also pays homage to the University of Oregon. 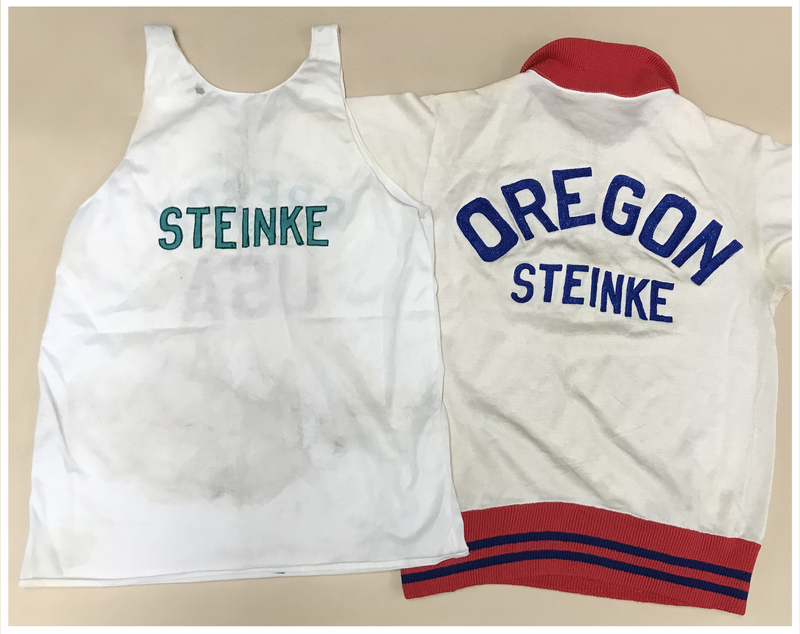 In addition to his uniform, Steinke donated his letterman’s jacket, scrapbooks, a memoir, correspondence and photographs.